New England race fans can add another race to their plans for the 2020 NASCAR race weekend at New Hampshire Motor Speedway. NASCAR released its 2020 Xfinity Series schedule today, including its annual July 18, 2020 visit to "The Magic Mile." 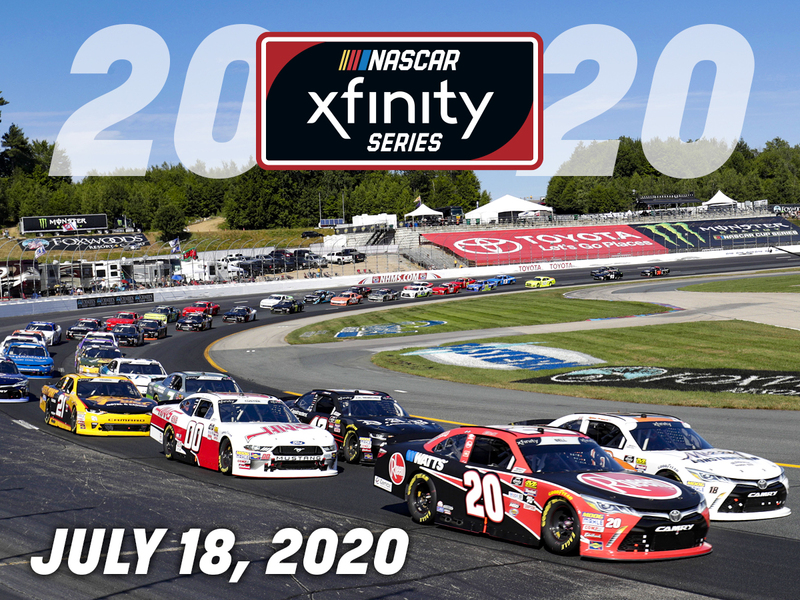 The Xfinity Series was the first NASCAR sanctioned race at New Hampshire Motor Speedway in 1990, making 2019 NASCAR's 30th season at "The Magic Mile." The NASCAR Xfinity Series will run their 33rd race at the speedway as part of the Foxwoods Resort Casino 301 weekend, July 19-21, 2019 in their only visit in the six-state New England region. This announcement follows last week's release of the 2020 NASCAR Cup Series schedule, which brings the Foxwoods Resort Casino 301 to New Hampshire Motor Speedway on Sunday, July 19, 2020.